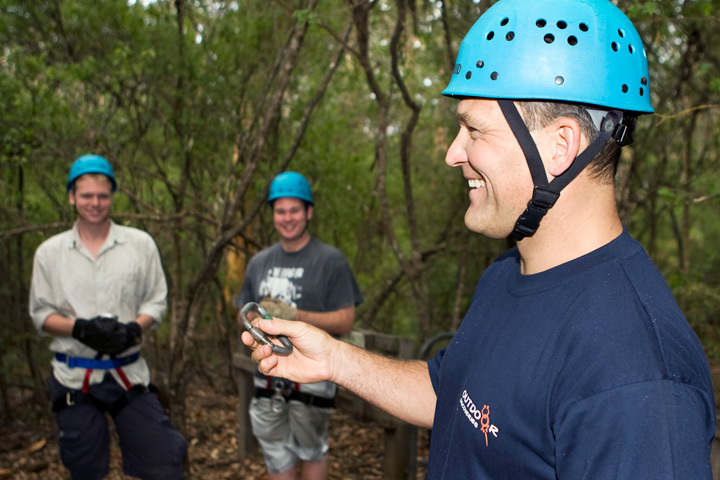 We run caving programs in the Boranup karri forest 20 minutes south of Margaret River. These caves have formed in the Leeuwin-Naturaliste Ridge which is a capping of Tamala Limestone over granite. The ridge is found in Leeuwin-Naturaliste National Park which stretches from Cape Naturaliste in the North (Near Dunsborough) to Cape Leeuwin in the South (Near Augusta). 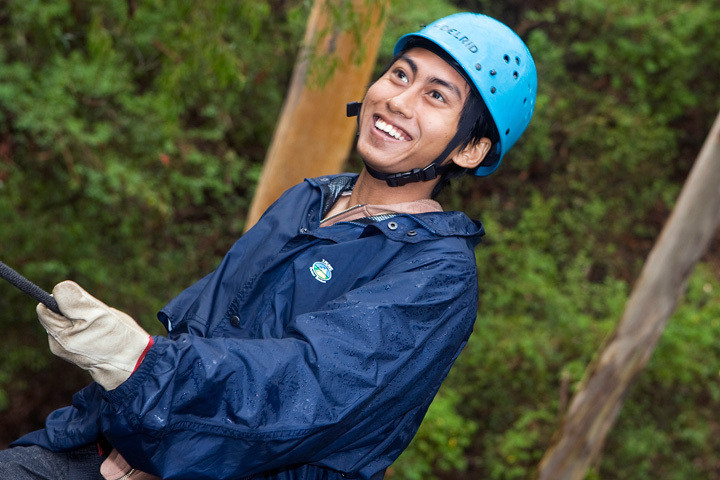 There are a many wild caves we can take you to with helmets and head torches for real adventure caving. 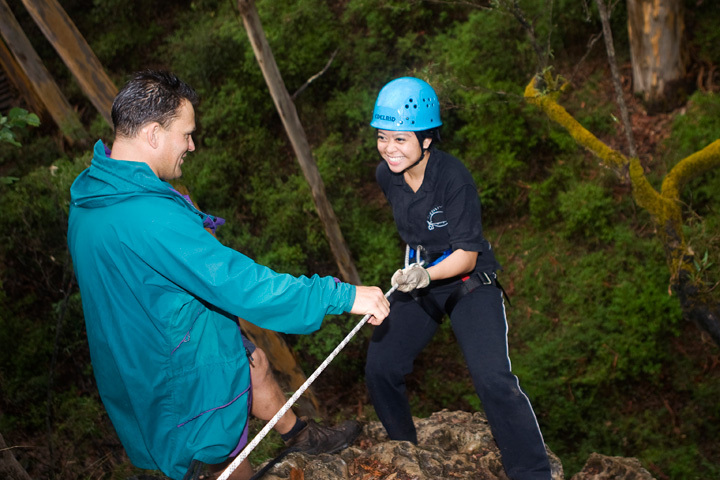 Caves range from walk-through caverns with spectacular formations to tight squeezes guaranteed to get you dirty! 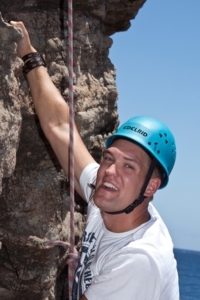 We start by giving you an introduction to abseiling on small cliffs to get your confidence up. 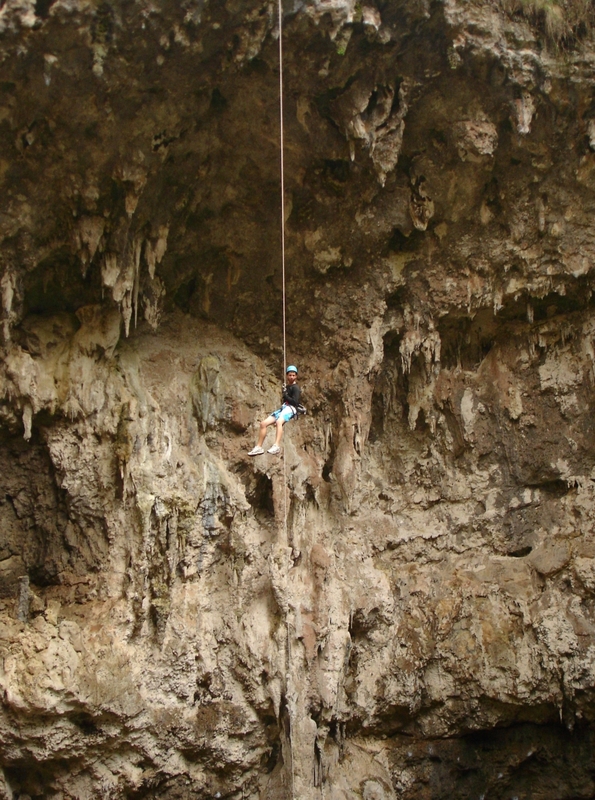 From there we move on to abseil nearly 40 metres down into Brides Cave which is a spectacular site that can only be entered by rope. 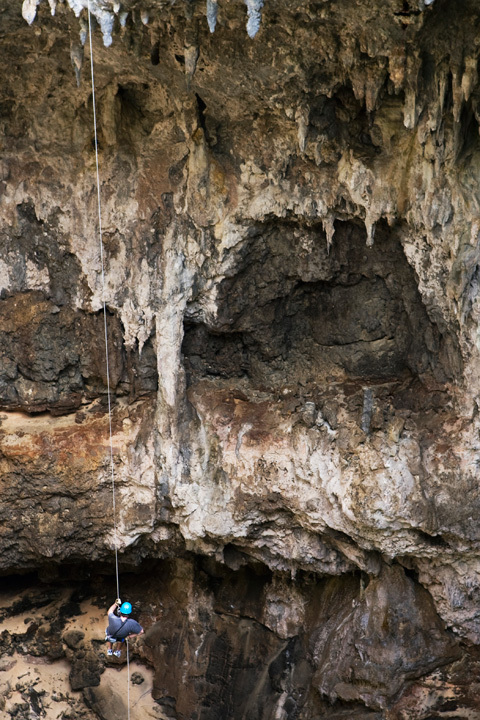 After viewing the vast flowstone formations by torchlight we climb out using a caving ladder. Please note that this is a physically challenging site, we can visit Giants Pipe or Calgardup Pipe if your group does not have moderate to high levels of fitness. The morning is the same as the program above. 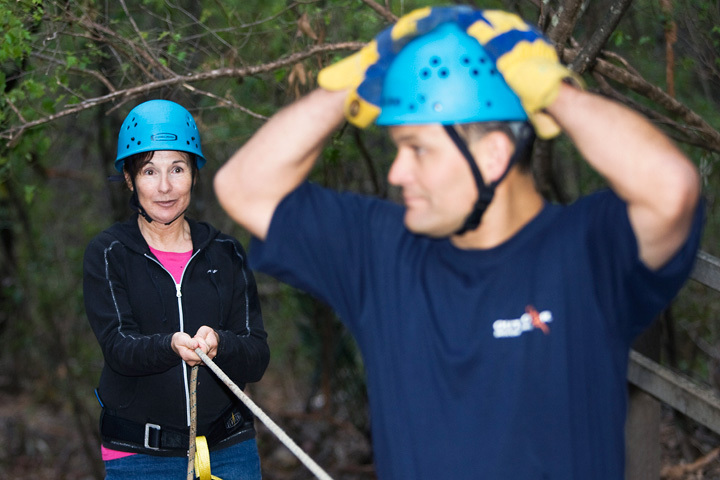 We have lunch then it is off to Giants Cave where we abseil nearly 60 metres down a solution pipe in the darkness to the entrance to the cave. We then walk through this adventure cave viewing the glittering cave formations by torchlight. 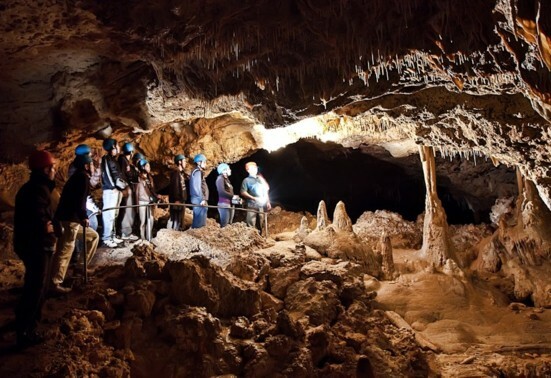 Come and visit some of the most beautiful limestone caves in the world. If you are looking for a walk-in experience, then get a close-up view of incredibly ancient yet fragile straw formations and marvel at the stunning pure-white shawls and other decorations in Golgotha Cave. 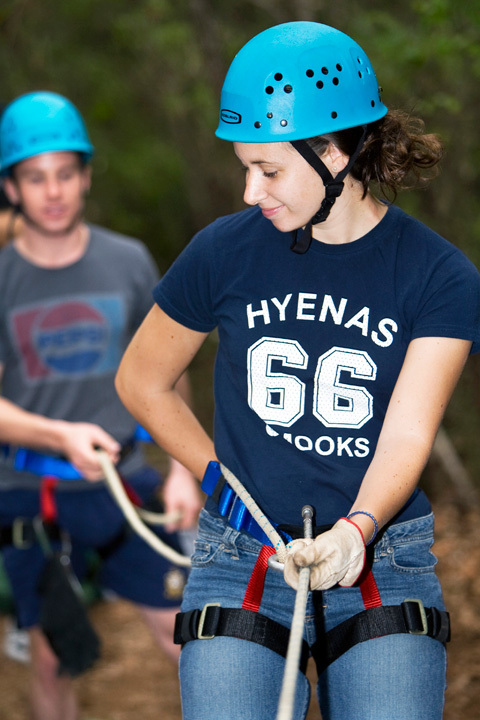 Otherwise crawl through the entrance to Nannup Cave and look in wonder at the massive flowstone formations before taking the chimney climb down for a tight squeeze and grovel to get out. 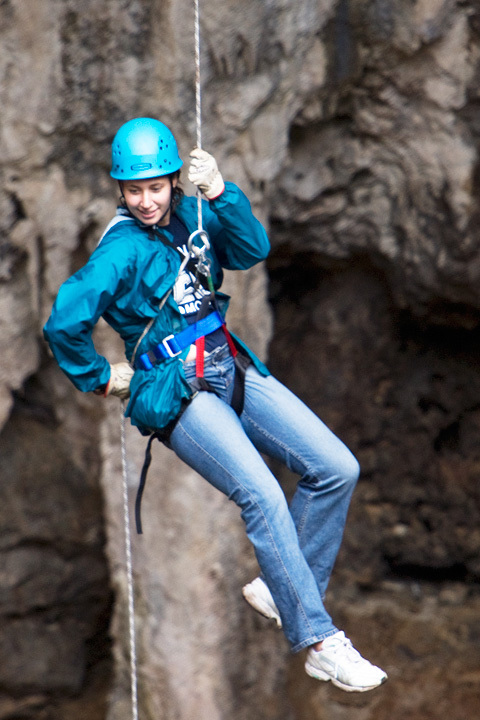 For the ultimate adventure caving experience come with us to Calgardup Cave and visit the special area known as the Window Extension. For those who are up to it we lead you through the challenge known as the Rebirthing Canal! 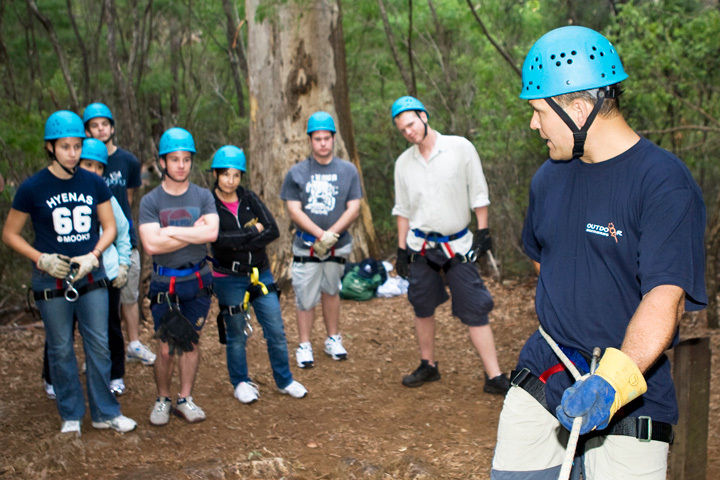 There are numerous caves on the Leeuwin-Naturaliste Ridge, all with their own special features and experiences. All these caves are locked and only available to instructors with DEC Cave Trip Leader qualifications. 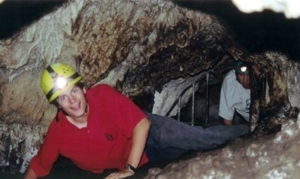 All caving guides with Outdoor Discoveries hold this qualification. 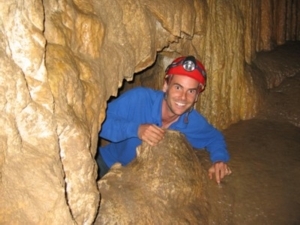 There are restrictions on numbers of participants and visits per week for all caves. 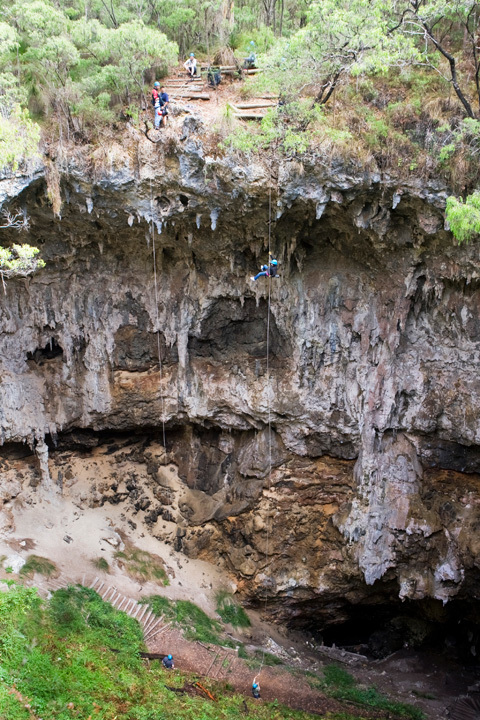 There are too many other adventure caves with so many features to list here. 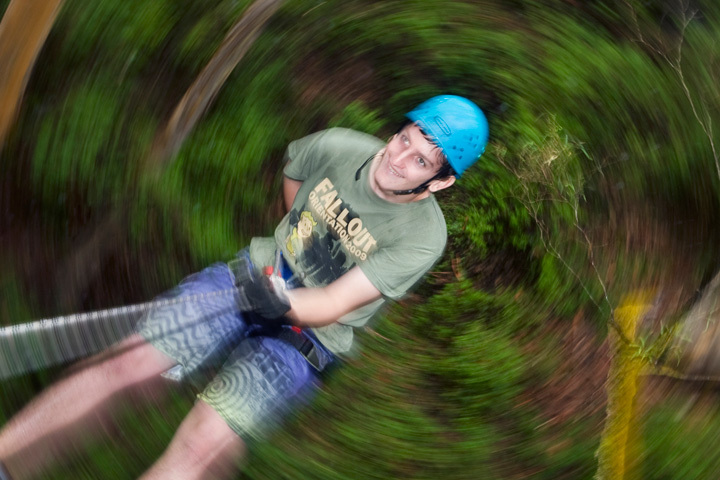 If you are interested in adventure caving give us a call and we will work out a caving program for you.